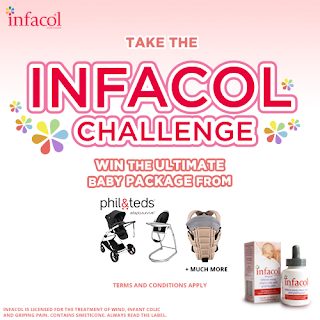 Infacol is offering fans the chance to WIN some top baby prizes in their brand new Facebook game! In a brand new Facebook game, users are invited to take on the Infacol Challenge in return for BIG prizes from Phil & Teds (worth over £500) and Venture Studios. Based on a mobile friendly Facebook app, the Infacol Challenge asks users to navigate their way through two exciting games. 4. If the user beats the clock and completes both games in under 80 seconds, then they will be entered into an instant prize draw! 5. Entrants can play every day and earn extra goes too!